While waiting for Madden NFL Mobile to update to Madden NFL Overdrive this August, check out some of the preseason activities you can do to earn rewards. As we learned last week, an August update to Madden NFL Mobile will officially turn the game into Madden NFL Overdrive. This is more than just a rename, though; it’s an entirely new Madden experience on mobile devices. But as we approach the highly anticipated update, we must first go through the summer months, which is a chance to build your skills, rework your roster, and get a preview of things to come next season. EA has detailed what the 2018 preseason program will consist of, explaining it will take into account everything you have done up to this point and throughout the current and final season of Madden NFL Mobile. The game will use your activity throughout this and will award you points that will translate into tickets that you will be able to turn into items to kickstart the new season. Your Preseason Points will be tracked all the way through to the last day of this season, which will come before the launch of next season in August. 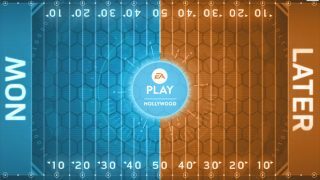 Additionally, when you login to the game on June 6, the traditional Live Event map of the United States will be replaced with a Now/Later Football field as seen below. The “Now” half will include new Blitz Live Events that reward Madden NFL Instant Replay Collectibles. You’ll be able to trade the Instant Replay Collectibles in Season Review Sets to earn Rewards, which could earn you different collections from this past season of Madden NFL MObile, including Rising Star, TOTW, Powerline, Flashbacks, and more. The “Later” half will simply serve as a preview of what’s to come in the new season. Up next? Madden NFL Overdrive on August 15.